Another absurd title of mine and it's inspired by Ben Rogers gloomy song about cowboys and indians obviously. Bad habit of mine strikes again although my alarm did remind me to take shoots last week but my works seems to be holding me back from what I suppose to do. Good ol' autumn seems to be coming soon. legitimately indicated by storms and wind for the past three days, happy yet sad how I customized myself on summer weather. Will do miss the sun a lot. 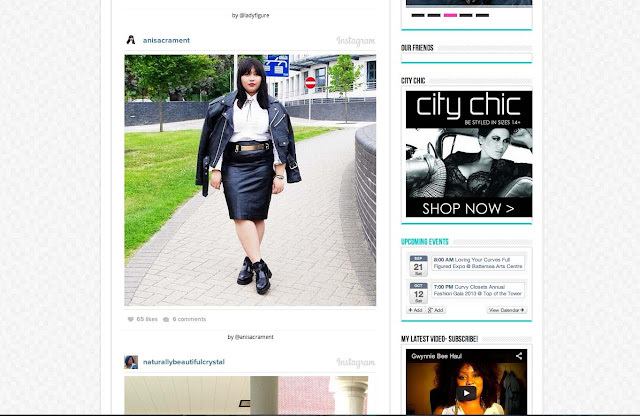 Such an honour for me to be featured in Mariedenne's blog regarding on the TCFstyle tag on instagram. I happen to be one of the best five looks under fierce theme! how lucky i am! click here to check it! Let's move on the clothes, shall we? I just got this amazing Monki denim shirt for 5 pounds! I miss my denim layer so I've decided to create a light denim on denim look again. 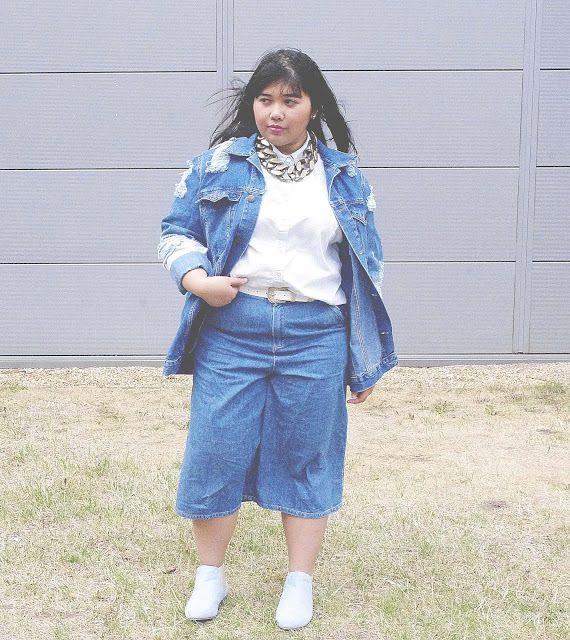 Still can't get over my culottes so I compile it with my new Monki shirt plus ripped denim outer from Asos, inspired by Acne much! I just love chunky accessories like this necklace that I got from Topshop couple months ago, there's something about huge statement accessories that creates an oop and do the boring outfit. Summer? T-shirt? no big deal! 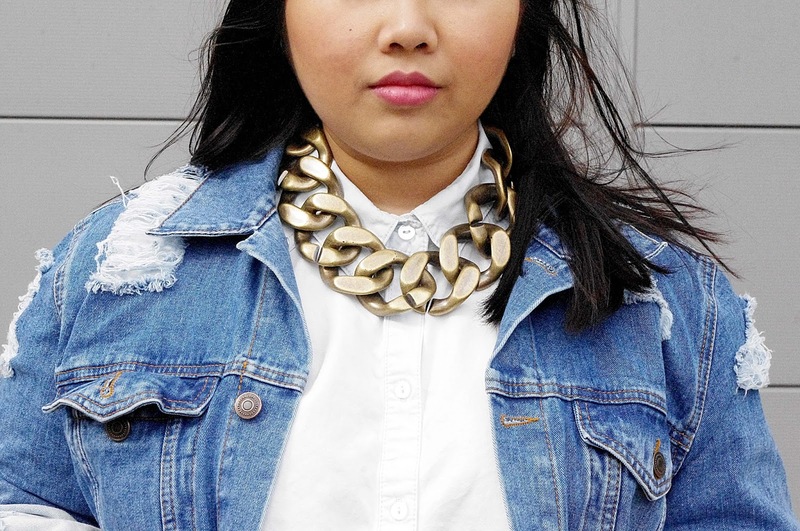 grab your chunky chain necklaces and you're good to go. This entry was posted on Saturday, 3 August 2013. You can follow any responses to this entry through the RSS 2.0. You can Comment. whoaa chunky necklace is so in right now. 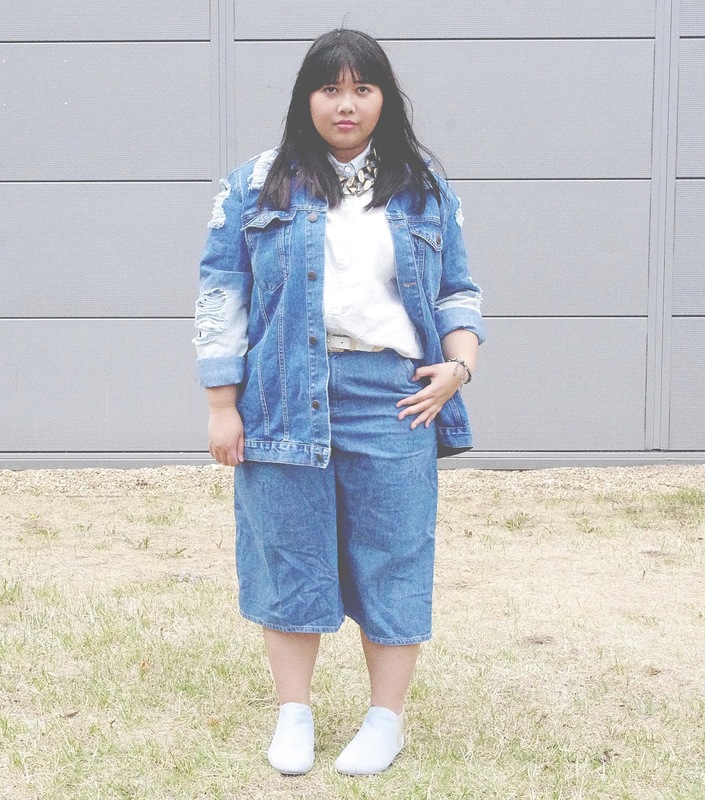 cant get enough of your culottes kak like really >< congrats for being feautured too!! 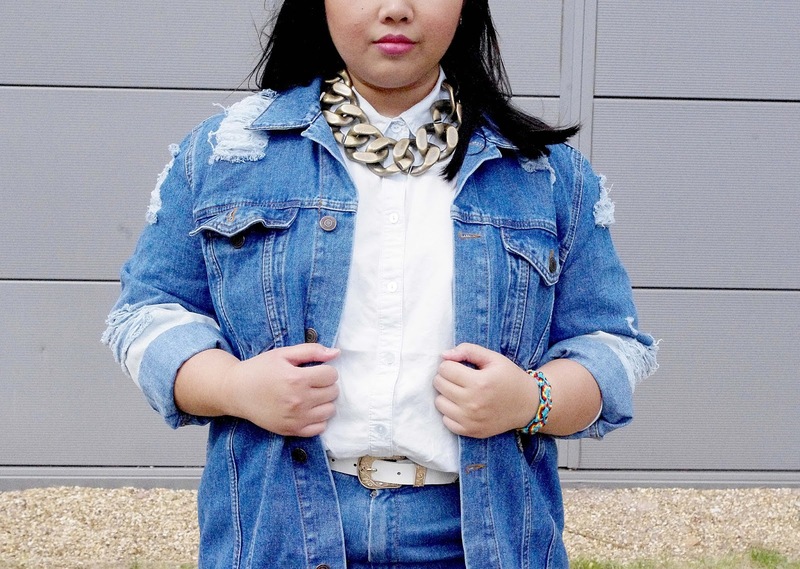 Super cool denim look! And just like you, i also love culottes. They're the best. LOVE it! i get so inspired by you. 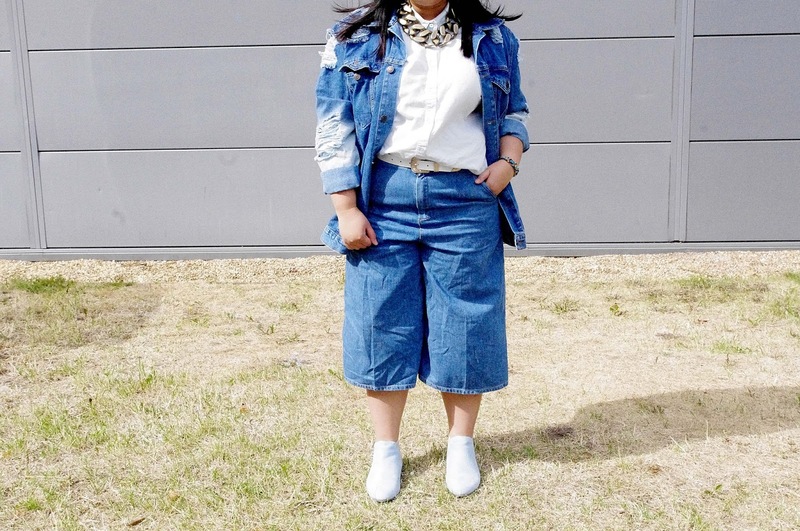 will definitely try the denim on denim look as soon as fall hits, hopefully i look as rad as you. i am a huge fan of your style! i've never seen how great someone pairing denim on denim!! I really adore your style! !